arts mix an explosion of technique and training method develops. 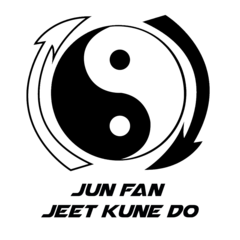 Jeet Kune Do, abbreviated JKD, is an eclectic and hybrid martial art heavily influenced by the philosophy of martial artist Bruce Lee. Lee, who founded the system on July 9, 1967, referred to it as "non-classical", suggesting that JKD is a form of Chinese Kung Fu, yet without form. Unlike more traditional martial arts, Jeet Kune Do is not fixed or patterned, and is a philosophy with guiding thoughts. It was named for the Wing Chun concept of interception or attacking while one's opponent is about to attack. Jeet Kune Do practitioners believe in minimal movement with maximum effect. Brazilian jiu-jitsu (BJJ) is a martial art, combat sport, and a self defense system that focuses on grappling and especially ground fighting. 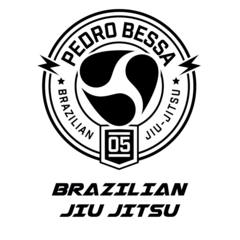 Brazilian jiu-jitsu was formed from Kodokan Judo ground fighting (Ne-Waza) fundamentals that were taught to Carlos Gracie by master Mitsuyo Maeda. Brazilian jiu-jitsu eventually came to be its own art through the experimentations, practices, and adaptation from the Judo knowledge of Carlos and Helio Gracie, who then passed their knowledge onto their family. BJJ promotes the concept that a smaller, weaker person can successfully defend against a bigger, stronger assailant by using leverage and proper technique, taking the fight to the ground - most notably by applying joint-locks and chokeholds to defeat the other person. 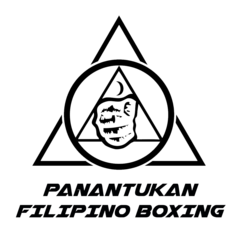 Panantukan is the fist-related striking component of Filipino martial arts. (The term "suntukan" however is most commonly known in the Philippines to simply mean punching or boxing.) In the central Philippine island region of Visayas, it is known as Pangamot or Pakamot. 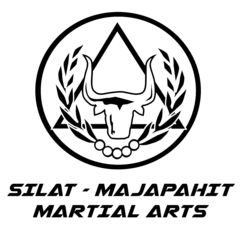 It is also known as Mano-mano and often referred to in Western martial arts circles of Inosanto lineage as Panantukan. Although it is also called Filipino Boxing, this article pertains to the Filipino martial art and should not be confused with the Western sport of boxing as practiced in the Philippines. Muay Thai is a combat sport from Thailand that uses stand-up striking along with various clinching techniques. It is similar to other Indochinese kickboxing systems, namely pradal serey from Cambodia, Tomoi from Malaysia, Lethwei from Burma and muay Lao from Laos.This physical and mental discipline which includes combat on foot is known as "the art of eight weapons" because it is characterized by the combined use of fists, elbows, knees, shins and feet, being associated with a good physical preparation that becomes a full-contact fight very efficient. 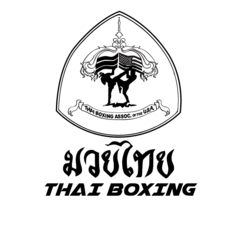 The muay thai became popular in the sixteenth century, but began to be internationally distributed only in the twentieth century, when many Thai fighters won several victories over representatives of other martial arts. Filipino martial arts (FMA) refer to ancient Indianized and newer fighting methods devised in the Philippines. It incorporates elements from both Western and Eastern Martial Arts, the most popular forms of which are known as Arnis, Eskrima and Kali. The intrinsic need for self-preservation was the genesis of these systems. Throughout the ages, invaders and evolving local conflict imposed new dynamics for combat in the islands now making up the Philippines. The Filipino people developed battle skills as a direct result of an appreciation of their ever-changing circumstances. They learned often out of necessity how to prioritize, allocate and use common resources in combative situations. Filipinos have been heavily influenced by a phenomenon of cultural and linguistic mixture. 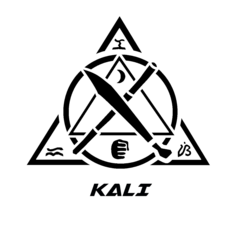 Some of the specific mechanisms responsible for cultural and martial change extended from phenomena such as war, political and social systems, technology, trade and of course, simple practicality. Filipino martial arts have seen an increase in prominence due to several Hollywood movies and the teachings of modern masters such as Venancio "Anciong" Bacon, Dan Inosanto, Cacoy Canete, Danny Guba, Mike Inay, Remy Presas, Wilson Pangan Sr. (Grand Master), Ernesto Presas and Carlito A. Lanada, Sr.
Submisson Wrestling (also known as submission fighting, submission grappling, sport grappling, or simply as No-Gi) or Combat Wrestling (in Japan),The sport of submission wrestling brings together techniques from Folk Wrestling (Catch-as-catch-can), Luta Livre Esportiva, Judo, Freestyle Wrestling, Brazilian Jiu-Jitsu, and Sambo. 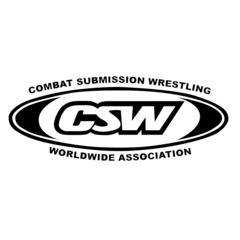 Submission fighting as an element of a larger sport setting is very common in mixed martial arts, Pankration, catch wrestling and others. Submission wrestlers or grapplers usually wear shorts, skin-sticky clothing such as Rash guards, speedos and mixed short clothes so they do not rip off in combat. They are also known for using submission techniques normally banned in other arts or competitions such as heel hooks, toe holds, wrist and finger locks. Majapahit was a vast arch­i­pel­agic empire based on the island of Java from 1293 to around 1500. Majapahit was an empire of 98 trib­u­taries, stretch­ing from Suma­tra to New Guinea, con­sist­ing of present day Indone­sia, Sin­ga­pore, Malaysia, Brunei, south­ern Thai­land, the Philip­pines, and East Timor, although the true nature of Majapahit sphere of influ­ence is still the sub­ject of stud­ies among historians. Hav­ing traders in con­tact with Thai­land and the Philip­pines might also explain where the Thai Mar­tial Art of KRABI KRABONG, the fore­run­ner of the mod­ern day Kick Box­ing ring art of Muay Thai, got it’s FMA like Sinawali dou­ble sword weav­ing pat­tern from. Like all of Asia, the Majapahit Empire was also very heav­ily influ­enced by China. The Indone­sian Mar­tial Art of Kun­tao is a blend of the hand tech­niques of South­ern Kung Fu and the foot­work of Silat. In weaponry, the Majapahit expan­sion is believed to be respon­si­ble for the wide­spread use of the kris wavy dagger/sword in South­east Asia; from Java, Bali, Suma­tra, Malaysia, Brunei, South­ern Thai­land, to the Philip­pines. Although it has been sug­gested that the kris, and native edged weapons sim­i­lar to it, pre­date Majapahit, nev­er­the­less the empire expan­sion con­tributed to its pop­u­lar­ity and dif­fu­sion in the region.